Mammograms can be used to check for breast cancer in women who have no signs or symptoms of the disease. This type of mammogram is called a screening mammogram. 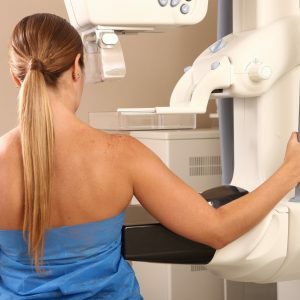 Screening mammograms usually involve two or more x-ray pictures, or images, of each breast. The x-ray images often make it possible to detect tumors that cannot be felt. Screening mammograms can also find microcalcifications (tiny deposits of calcium) that sometimes indicate the presence of breast cancer.